You are here probably because you or a loved one suffers from some sort of health problem. Poor health impacts every area of life. Brain health, performance, relationships, work, creativity, and even our ability to get out of bed in the morning is impacted. You know you need to do something to come back into harmony and balance, but what? In the last decade studies have proven that we are hosts to a huge number of bacteria called the Microbiome. This Microbiome outnumbers our human cells 10:1. In fact, we are walking bacteria factories! Some of these bacteria are healthy and create balance in our bodies and others are unhealthy and opportunisitc and cause health havoc. With every bite of food we feed the healthy or unhealthy bacteria. I practice Functional Holistic Nutrition. 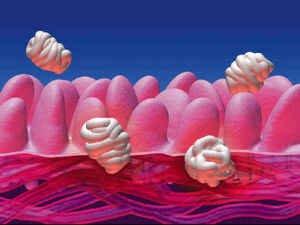 One of the main tenets is that all illness arises from an imbalanced gut (Microbiome). With Holistic Nutrition including some dietyar and lifestlyle changes, the Micobiome becomes balanced and the body can heal itself. This can take some time but most clients notice positive change within 1-2 months. Make a appointment NOW to change your health destiny!